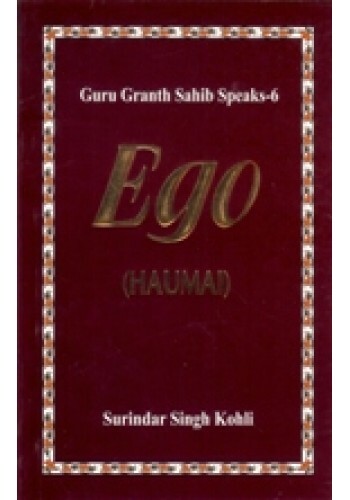 This is the Fifth Book in "GURU GRANTH SAHIB SPEAKS" series. 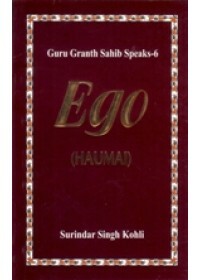 The earlier four books already published in order and Death and After, Naam, Attributes of God (Hari-Gun) and God's Will (Hukm). 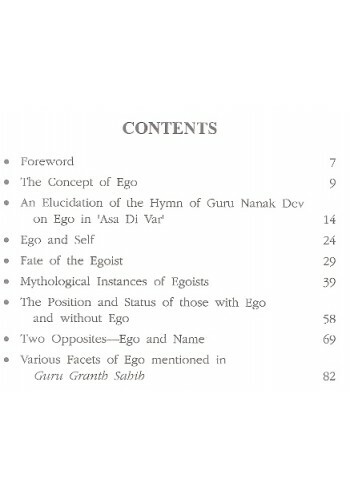 While writing this book on Ego, I experienced great difficulty in proceeding further because of the scanty material available on the subject. The titles of various chapters were chalked out on various quotations, hence some of the quotations had to be repeated keeping in view the significance of the subject matter. However by the Grace of the Lord and True Guru, the work has been completed satisfactorily. 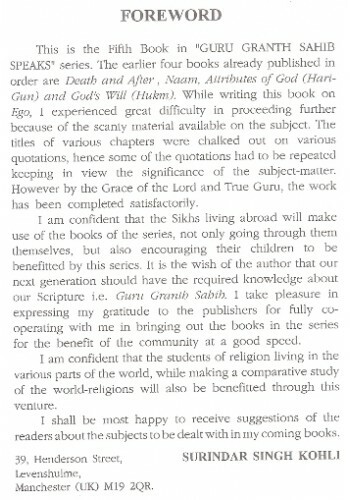 I am confident that the Sikhs living abroad will make use of the books of the series, not only going through them themselves, but also encouraging their children to be benefitted by this series. It is the wish of the author that our next generation should have the required knowledge about our Scripture i.e. Guru Granth Sahib. I take pleasure in expressing my gratitude to the publishers for fully co-operating with me in bringing out the books in the series for the benefit of the community at a good speed. I am confident that the students of religion living in the various parts of the world, while making a comparative study of the world-religions will also be benefitted through this venture. I shall be most happy to receive suggestions of the readers about the subjects to be dealt with in my coming books.